Most new homes built in California will be required to have rooftop solar panels beginning in 2020, a mandate expected to add around $9,500 to the cost of a new house - but provide around $19,000 in energy savings over a 30-year period. Regulators agreed on Wednesday to approve the historic plan, making California the first state in the country to mandate solar-energy installations on the majority of single-family homes and multi-family residential buildings up to three stories - including condos and apartment complexes. "We cannot let Californians be in homes that are essentially the residential equivalent of gas guzzlers," said CA energy commission member David Hochschild, prior to the vote. "This really puts us on a path to a more efficient future." Experts, however, warn that forcing builders to require solar panels will just worsen the state's already horrendous affordable housing crisis. 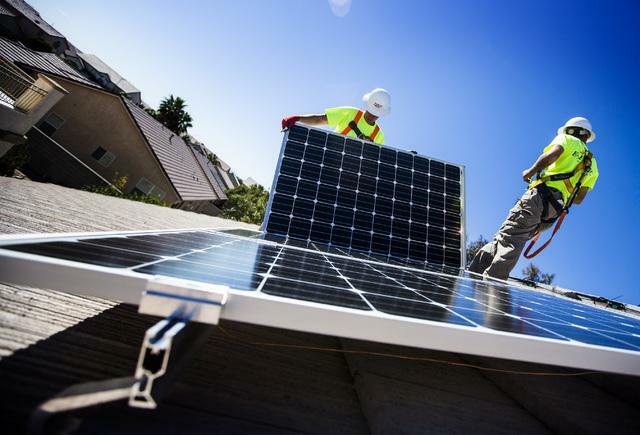 The California Energy Commission approved the mandate 5-0 as part of the state's 2019 update to energy efficiency standards, and an ongoing effort to reduce greenhouse gases. According to the California Air Resources Board (CARB), the state's robust building sector is the second largest source of greenhouse gasses when fossil fuel burning power plants are factored in. The new mandate caused solar stocks to jump on Wednesday - sending SunPower up 6%, Sunrun 4% and First Solar 3%. Dave Fanger, CEO Swell Investing - whose Green Tech and Renewable Energy portfolios hold solar investments says that "Overall, we expect with California's mandate some companies within the solar and broader renewable industry stand to benefit positively, including those who make panels and component parts, as well as those who assist with installation and ensure efficient use of energy." The new energy efficiency standards also apply to everything from indoor air quality to current ventilation systems, which we're sure won't drive costs up in the golden state. Every three years the state updates their efficiency standards, with the ultimate goal of "net-zero" energy homes which have very small carbon footprints. California's renewable portfolio standard requires power companies to adopt at least 50% of their total energy sources from renewables such as solar, wind, geothermal and hydroelectric by 2030. Meanwhile, around 15-20% of single-family houses built in the state have solar panel installations. As CNBC notes, at least seven cities in the state have solar mandates of one type or another, including San Francisco. "Adoption of these standards represents a quantum leap in statewide building standards," Bob Raymer, the technical director for the CBIA said in remarks to the energy commission prior to the vote in Sacramento. "No other state in the nation will have anything close to this — and you can bet every one of the 49 other states will be watching closely to see what happens." The new solar mandate includes compliance credits for the installation of battery storage technology - meaning that homeowners whose rooftop system store energy during the day for use at night when rates are higher. Rooftop solar systems have fallen in price considerably over the last several years, while the technology has become more efficient and aesthetically pleasing - such as ones which look like traditional roof shingles. 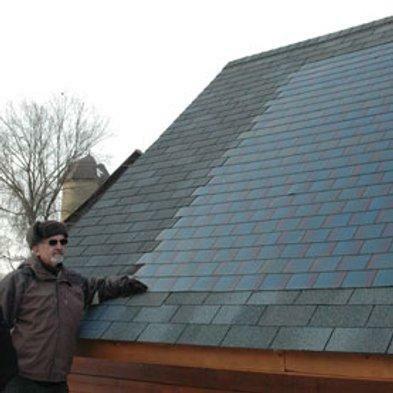 The largest name in solar shingles is Dow's Powerhouse brand, which uses copper indium gallium selenide solar cells (aka "thin-film solar") to generate 12 watts per square foot and are designed for structures already connected to the power grid which can send power back (known as "grid-tied"). CNBC notes that the new solar initative will strain an already-painful affordable housing crunch throughout California. "Affordable housing is maybe the number one issue for Californians right now," said Lucas Davis, an associate professor at the Haas School of Business at University of California-Berkeley. Davis thinks CA regulators may be making a huge mistake. "You don't need a mandate here — we already have vast amounts of solar in California," said Davis. "Half of U.S. solar is installed in California, so it's not at all clear to me you needed the mandate. We're actually paying other states to take our electricity during daylight hours." Davis thinks that electricity rates will rise as the solar mandate kicks in due to a "cost shift" to non-solar homeowners who will be forced to pay higher electricity costs. "We already have some of the highest electricity rates in the country, and this will only be exacerbated by this mandate," he said. "As more and more rooftop solar gets installed, that pushes the cost onto all the non-solar customers." Realtor.com's chief economist Danielle Hale said that the mandate could "cause builders to hurry to complete projects before the mandate kicks in Jan. 1, 2020," adding that "affordable new construction already lags demand" and could get worse as a result of the solar mandate. Only one question; what will California regulators mandate in 5-15 years when there are tons and tons of dead lithium ion batteries which need a landfill to call home for the next few millennia?